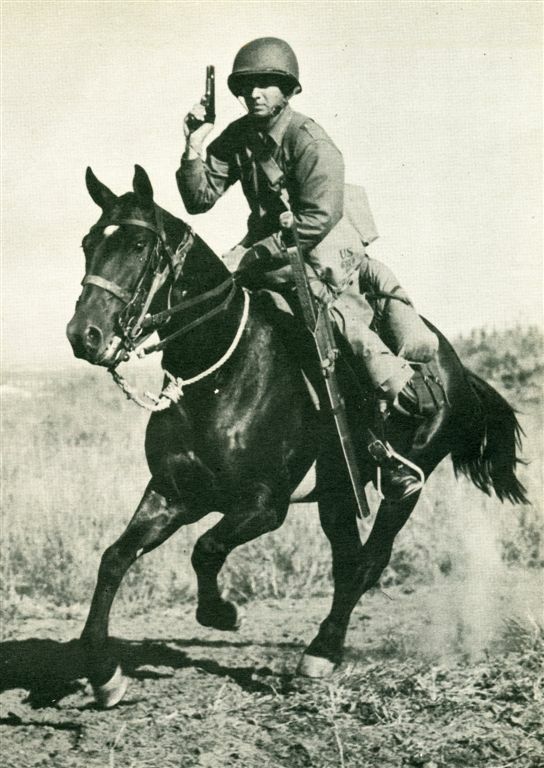 After over 3000 year of service on battlefields all around the world, the horse cavalry days were numbered and their use on battlefield practically ended during WWII period. (however small horse cavalry detachments were used by US for patrolling West German-Czechoslovakia border and after the war. introduction of stirrup, saddle and horse collars. Introduction of guns were also detrimental for change of tactics and personal armament. During the long existence, the horse cavalry was used for reconnaissance, cavalry charge, riding communication ant interdiction of enemy supply. Heavy cavalry was used as a principal break through force long after introduction of gunpowder and even during WWII there were numerous successful charges by cavalry of many nations. After all these years of engaging in warfare and bloodshed, the faithful animal goes back to its rightful place... helping human in farming or simply joining the nature. Interesting-US army purchased 20000 horses in 1940. So for them the Cavalry was still usable on battlefield. In US, I have seen police riding on horses only in Las Vegas every new year eve. "LOS ANGELES–An era in U.S. military history came to a close last week with the death on March 7 of Colonel Edwin Ramsey in Los Angeles, Calif. Ramsey led the last horse-mounted cavalry charge in the history of the United States Army. third cousin, William Washington. He had served in the infantry from the beginning of the war and was one of the two officers wounded at Trenton. He proved to understand cavalry tactics, and is said to have said: "The sword is the most destructive and almost only necessary weapon a Dragoon carries." Although recognized as being the most valuable weapon available for cavalry, swords were hard to acquire. Most American cavalrymen used home made swords manufactured here. However, after the victory at Saratoga, they received 149 heavy broadswords captured from the Prinz Ludwig’s Brunswick Dragoons. France also sent some fine sabers. When the British captured Savannah, Georgia, Washington dispatched General Pulaski south to assist Major General Benjamin Lincoln. In the attempt to retake British held Savannah, Georgia, Pulaski was killed leading a cavalry charge. He has gone down in our history as the "Father of American Cavalry". Failing to retake Savannah, General Lincoln retired to Charleston, South Carolina. British Lieutenant General Sir Henry Clinton arrived with 10,000 additional troops, besieged Charleston and forced General Lincoln to surrender. Fortunately the American Dragoons were based 24 miles inland from Charleston and did not surrender, but continued the fight." Italians Army in Soviet Union 1942-the last horse cavalry charge in history ? 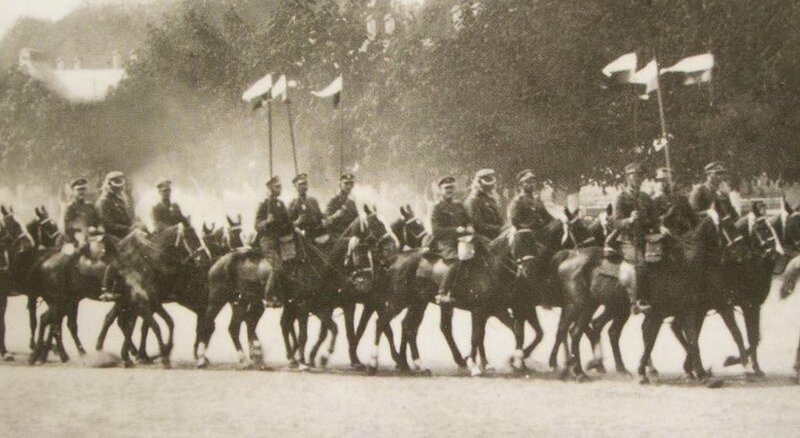 The last true cavalry battle (horse cavalry vs horse cavalry) was fought 31 August 1920 during Polish- Soviet War. “The Battle of Komarówwas one of the most important battles of thePolish-Bolshevik War. It took place on August 31, 1920, near the village of Komarowo (now Komarów) near Zamość. It was the biggest cavalry battle in the history of war since 1813 and the last great battle of any significance in which cavalry was used as such and not as mounted infantry. With the development of firearms, the charge of cavalry against formed square of infantry at the end of 18 and 19 century become to risky. “Kellerman, who had arrived with only his forward brigade, received the order to charge Wellington's center to "overthrow the mass of the Allied infantry." Kellerman was astounded. A cavalry charge without infantry support against formed enemy infantry was suicide and would certainly lead to the destruction of his brigade. He asked Ney to confirm the order. Ney replied by saying "Go, but go then!" · Battle of Kircholm (September 27, 1605) - Polish cavalry 2,600 men supported with 1,000 infantry defeated 11,000 Swedes. Polish-Lithuanian winged hussars charged and completely defeated advancing Swedes. Battle of Klushino (4 July 1610) – Polish forces numbering about 4,000 men (of which about 80 percent were the famous 'winged' hussars[ under Stanisław Żółkiewski defeated a numerically superior force of about 35,000–40,000 Russians under Dmitry Shuisky, Andrew Golitsyn and Danilo Mezetski. In battle many formations of hussar units charged 8 – 10 times. · Battle of Somosierra (November 30, 1808): During the Peninsular War Napoleon overwhelmed the Spanish positions in a combined arms attack, charging the Polish Chevau-légers of the Imperial Guard at the Spanish guns while French infantry advanced up the slopes. The victory removed the last obstacle barring the road to Madrid, which fell several days later. In well balanced Persian Army reformed by Darius, cavalry was a very important part of general war doctrine. Persian cavalry, mostly Median Horsemen, were dressed and armed in the same way as Persian light infantry. They rode into battle, where they had four key functions. Before the battle started, their roles was to interrupt concentration and deployment of enemy forces.. In the early stage of the battle, the cavalry of Persian Army rode along deploying units, charging them and dispatching mass of arrows from their composite bows. Or hurling javelins.. When Persian infantry advanced within bowshot, the cavalry units withdrew to the wings of the Army with the task to outflank the opponents army. Finally, when the enemy broke and fled, the job of cavalry was to pursue and keep the enemy forces from regrouping. Battle of Adrianople in 378 AD was a turning point that affected balance between infantry and cavalry in Mediterranean area. By 6 century, the armies of Justinian and Belisarius were based on cavalry strength. The principal strength lay in mounted archers employing hit and run tactics. 200 year later, even Franks which fights previously as infantry, had taken to horse and turned into cavalrymen. (although different type of mounted warriors).The decisive factor influencing changes from the foot army to mounted warriors was invention of stirrups and high saddles. This transformation occurred between 4 and 10 century AD when the above inventions spread to Europe from the horsemen of steppe. Adding to this the horseshoe, (origin of this is unclear) the ascent of cavalry over the foot soldiers becomes understandable. During the remaining Middle Ages in Europe and Middle East, the Horse Warriors dominated foot soldiers which becomes auxiliary force useful for siege warfare but not in the open field battles. The population was divided on two classes, one who fought on horseback and another who did not. Horsemen constituted society, while the rest counted for nothing (or very little at the most). In Europe, the horseman principle weapon was a lance which grow longer (from initial short lance waived overhead) supported by sword. In the Middle East, the principal weapon was composite bow supplemented by sabre. The superiority of a horseman over ordinary foot soldiers was crushing to the point that warfare , strictly speaking, took place mainly between knights. The heavy cavalry becomes King of the Field. This position was only challenged after development of the weapon which could penetrate knight armour from the distance. The time when commoner could kill knight from the distance spelled the beginning of the end of heavy armoured cavalry however heavy cavalry survived for another 200 years (aprox) from battle of Crecy. Fine articles sources and comments not to mention the photos by all concerned. For those interested in a short history of the US mounted arm. See the following links. I was struck by George Orwells' experience of cavalry in the Spanish Civil War. The cavalry barracks (where he joined the republican POUM) had been ransacked and re-used as a militia base, and he recalls sleeping in a former stable smelling of horse urine and rotting oats. The horses had all been appropriated, and when his rag-tag unit begins to march toward their deployments in the hills, one young militiaman took great pride in galloping his horse here and there for dramatic effect, clearly enjoying a dramatic pose or two. Compare that to Caesars description of gallic cavalry, in which he tells us how they were inordinately fond of their expensive horses and didn't like risking them, being more used to extracting tolls from travellers. I note also the memoirs of a Wutemburg cavalry officer who went on campiagn with Napoleon in 1812 toward Moscow. At the start, it's all a jolly holiday, a chance to enjoy fine billets, food, and company in landed estates along the way. Later, when horses are dying off and Russian ponies used to try and replace them, he becomes a little frustrated, then when he's unhorsed and has to join the retreat in terrible conditions, his status as a cavalryman meant nothing, and you can actually see the change in perspective in the text. Put someone on a horse and he feels superior. Sometimes he actually is, depending on society. or circumstance. But then, cavalry have since ancient times sometimes come unstuck. If my memory serves, the last mounted US cavalry charge was in 2001-2002 Afghanistan.